For several years I have opined that A123 the lithium ion battery manufacturer will go to a flat line of zero electrical activity and that its share price will eventually reach the value implied in its name. That is $1.23 a share. Well today my forecast has come true. The Department of Entropy funded company is trading at $1.20 a share (AONE on the NASDAQ) based on the news that they produced $55 million of defective batteries that now must be replaced. Of course these defective batteries made their way into the Fisker cars that have failed on the road and even during the recent Consumer Reports road test. Fisker also received Department of Entropy funding in a pyramid scheme where AONE owned part of Fisker. The whole house of cards that Chu Chu built as the architect of green is collapsing rather rapidly. Mr. President if you have the guts to admit failure please fire Chu Chu !! I can live with midgrade gasoline costing me $4.55 a gallon. I can live with cheese and meat costing over $20 a pound at the Whole Paycheck. I can live with Korea testing long range missiles. I can live with the Afghanis protesting how “little” we have done for them. I can live with the Greek economic crisis. But I cannot live with a dead battery in my pace maker! It is time for a new Secretary of Energy who need not have a Noble Prize in Physics but one who can actually avoid wasting billions of dollars that simply transfers wealth from the poor to the rich. Even Sam the Sham Bodman did not have the chutzpah to execute this level of massive wealth transfer with his hair brain hydrogen and ethanol ideas. Jimmy Carter was once a nuclear engineer and he really wants to help. Maybe Mr. President he can fill the role of Energy Secretary until Al Gore learns thermodynamics. By the way where is Al Gore we have not heard from him in a while. He might be hiding in a cave on the Afghanistan Pakistan border? 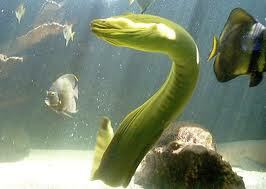 I say we send a team of Navy Seals to find the slippery green eel.